Set on 48-acres of paradise, Earth Sky is a magical acreage home by the beach. Only 1.1km to the beach, this immaculate house with tranquil, private surrounds is the perfect place for families to create memories. 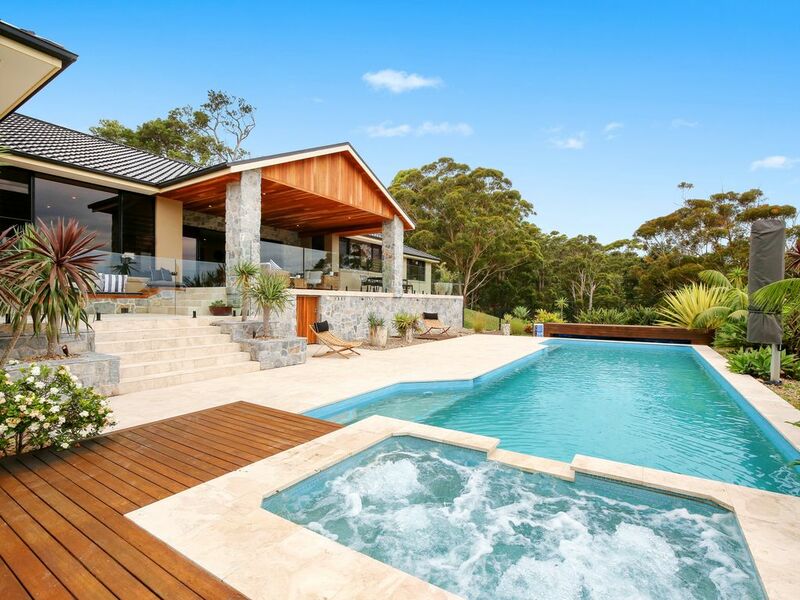 Explore the paddocks, gullies and dams or laze by the pool and spa. Lush green plant life and wild life surround the super spacious parcel of land. This inviting house offers a stunning outlook, air conditioning, Wi-Fi internet and undercover parking (no garage). Copacabana beach and Avoca Beach are practically at your doorstep, a short drive to both. Master bedroom contains a king bed and en suite, Bedroom 2 contains a queen bed, Bedrooms 3 has a queen and a single bed and bedrooms 4 & 5 each contain a set of kids bunk beds. WiFi included. *SECURITY BOND: is required upon check-in, prior to key collection. The bond for this property is $2,000. Bond is returned to guest approx 48 hours post-checkout once the property has been cleaned and inspected for damages. It's a very nice property with excellent view, pool and space for kids playing. All furniture with modern stylish. The only little inconvenience is the rubbish bin sitting the entry of the property. So we did some exercise walking 5 minutes (upper hill) to dump our rubbish outside.